The Fostex R8 is a very nice piece of equipment for the home studio of the early nineties. 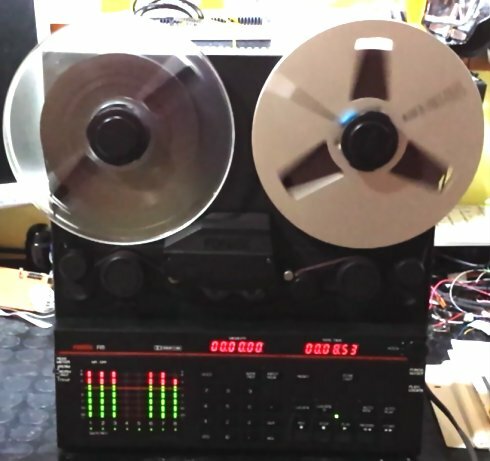 Many of us raved about it when it first came out because it was finally possible to have 8 high quality tracks on a quarter-inch reel-to-reel machine at an "affordable" price... well, for whoever was actually able to afford it back in the day. I wasn't, mostly because I still was 16 when it was released, and all I could afford was another Fostex recorder, a 4-track musicassette, model X26 (that I still own). So I had my occasion to buy an R8 around 2004 and was soon in love with it. 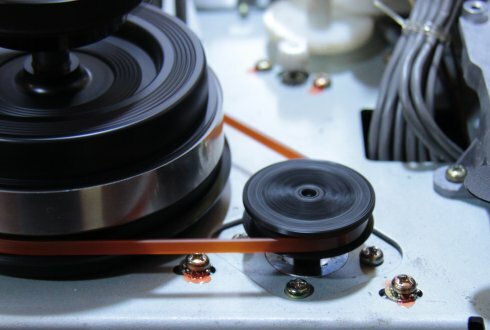 Even though Digital Audio Worstations of modern day make this kind of equipment pretty useless, it's still a pleasure to work with it, if you still feel that emotion of seeing the reels spinning and you really want that sound. Unfortunately, this kind of machine wasn't made to last forever. The electronics is pretty good, and most of the mechanical parts are well made, except gears that are all plastic and tend to deform or break thus losing their grip around the motor spindles. This is the case with the two gears that run the reel transport. I have two R8's and both of them have shown the same problem. 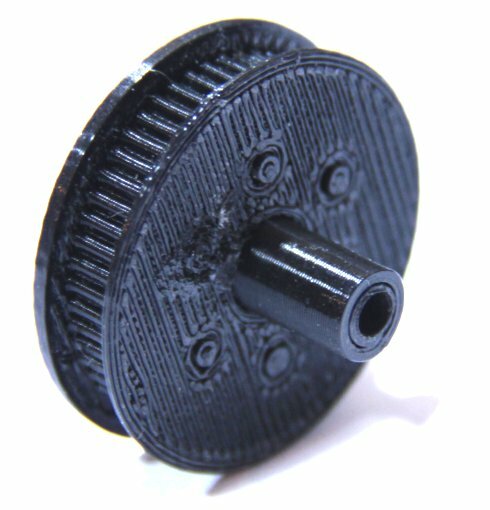 These gears are made of ABS plastic and tend to break along the central axis that grips around the motor pivot. At first I tried glueing them, or tightening using elastic strips or other strange solution, but none of those was a final solution. Then an idea came up to my mind: this is the era of 3D printing, will someone be able to "clone" the original gears with a 3D printer? And the answer is YES! 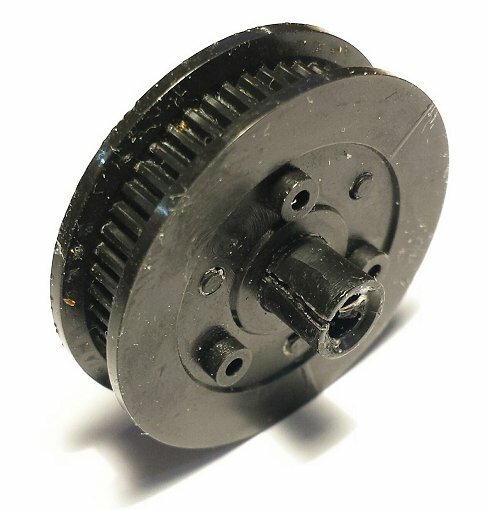 So I came across a guy in my place that works in a 3D development and printing Company, provided him with a sample of the original wheel, the belt and the motor and after a few prototypes he was able to perfectly clone the gear with black PLC printing, making just a couple of improvements: the wheels has only 8 spokes but thicker than the original ones and the central tube is longer and thicker than the original. It was quite a challenge to obtain the perfect internal diameter of the hole because the motor pivot is exactly 3 millimeters but the plastic wheel needs to be at least 2/10th narrower in order to have a good grip, as long as the printing tolerance allows it, so in some cases I had to adjust the diameter using a small drill. Isn't that great? This wouldn't have been possible 10 years ago, and I read of many people that threw their R8's into the bin because they couldn't get hold of the replacement parts from Fostex. 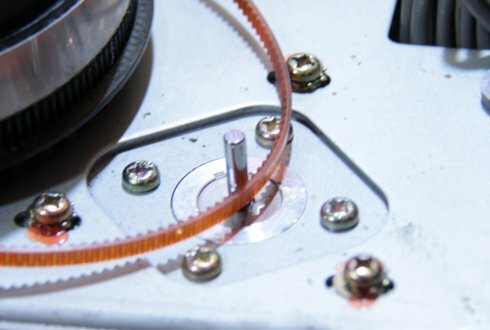 So, if you still have a Fostex R8 and you're experiencing the same problem, you should seriously consider contacting this web site and buy a couple of replacement gears: www.3draw.it. One advice, though: care particular attention when installing the new gears. Don't push too hard on the motors, and if you feel that they won't fit, just don't insist, pull them away and try to enlarge the hole using a precision drill of 2,8 or 3,0 millimeters. Do just a few turns at a very slow speed just to remove a few extra residual plastic that there may be inside the tube, then try to install the gear again until you feel it fitting with a medium strength, not too hard, not too fluid. There's a serious possibility to damage the motor if you push or pull on the pivot with extreme force, so please be careful.